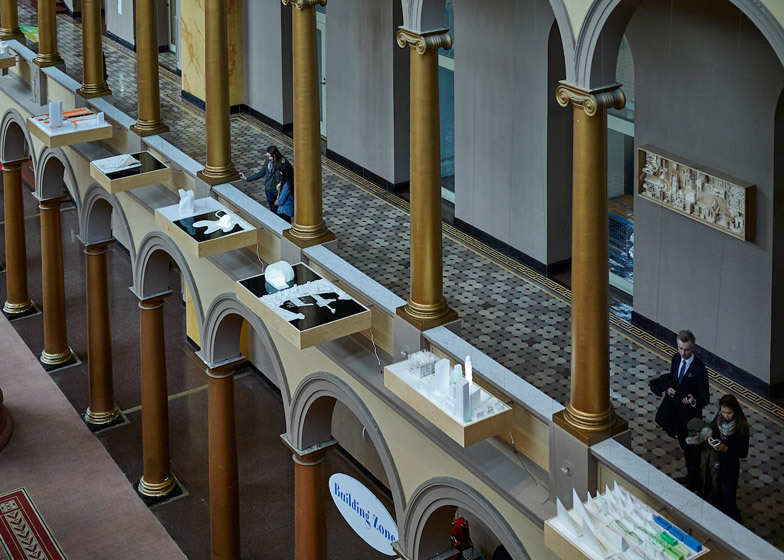 The arches of the Great Hall inside Washington DC's National Building Museum currently host 60 models of conceptual and completed buildings, for BIG's first ever exhibition in North America (+ slideshow). 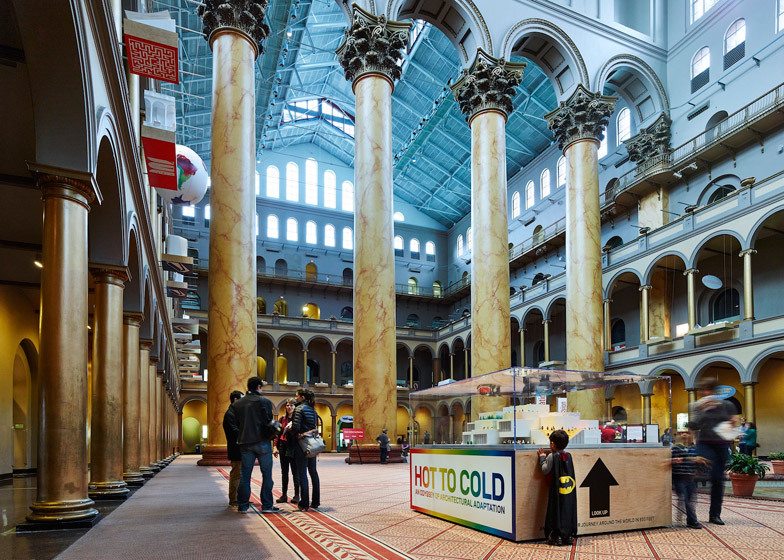 Following a project that saw Bjarke Ingels' firm take over the space with a curving plywood maze, the Hot to Cold exhibition gives a comprehensive overview of its recent work across the globe, ranging from the hottest to the coldest climates. "Hot to Cold is conceived as a colourful exploration of how architecture evolves in response to its context and climate and as an artistic contemplation of how life in return reacts to the framework created by the architecture," explained Ingels, who founded BIG in 2005 after a previous collaboration with architect Julien De Smedt and a spell at Rem Koolhaas' OMA. 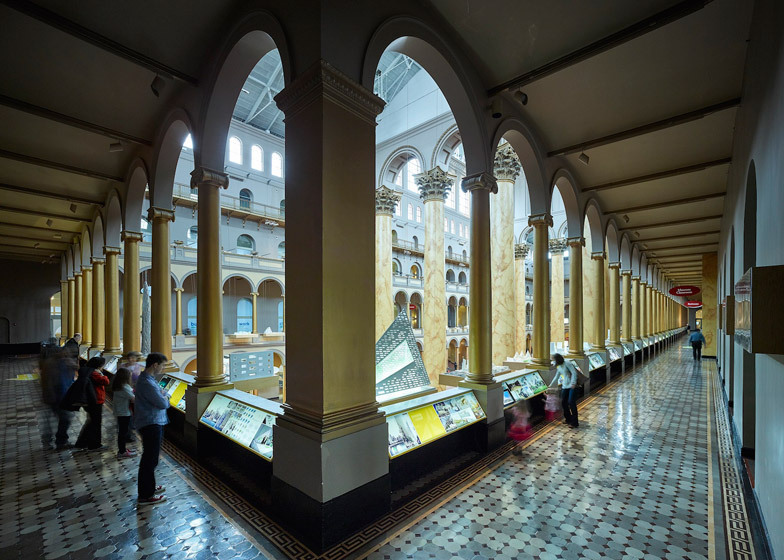 "Architecture never happens in the clinical conditions of a lab," he said. 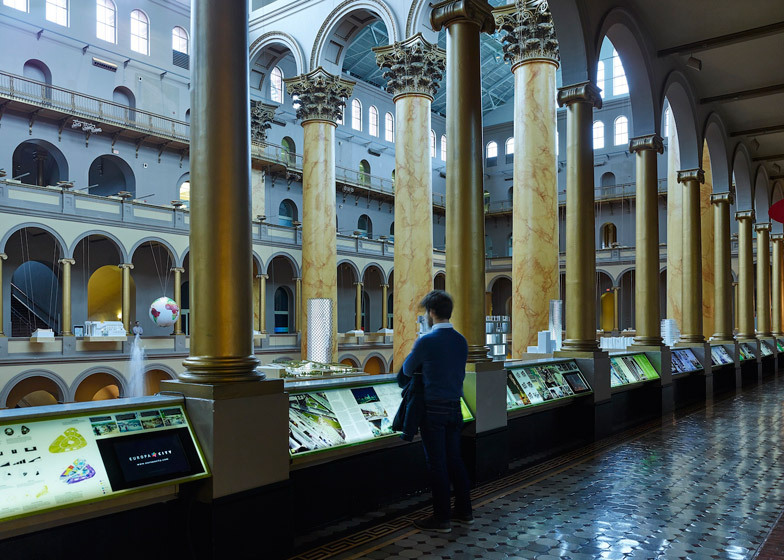 "It is always responding to a series of existing conditions – the context, the culture, the landscape, the climate. Our climate is the one thing we can't escape – the one condition we always have to respond to." 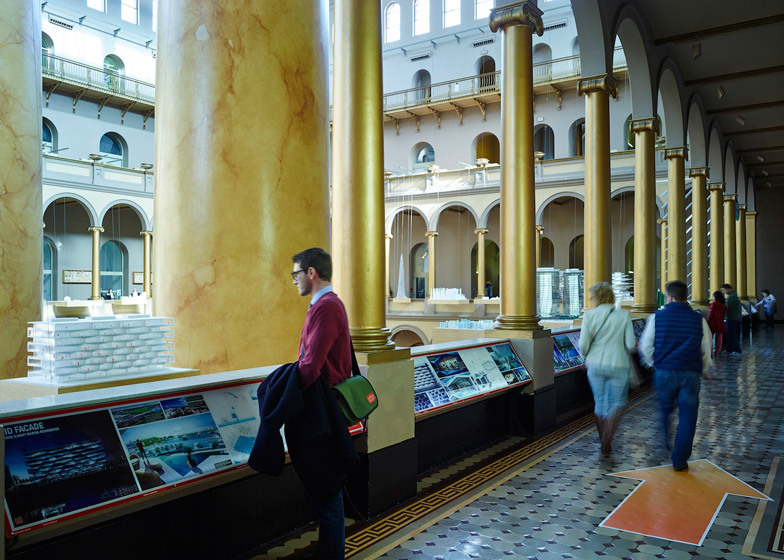 Organised as a journey across the globe, the exhibition presents 60 different projects from the last six years, 20 of which have never been shown before. 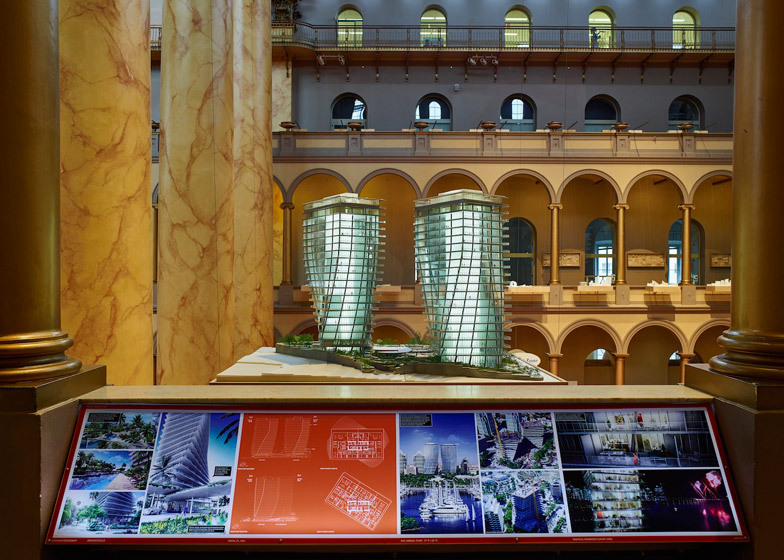 Models of each project have been suspended between the decorative arches of the hall's first-floor galleries. BIG fans will instantly recognise New York's soon-to-complete West 57th and the two twisted towers for Coconut Grove in Miami among those present. 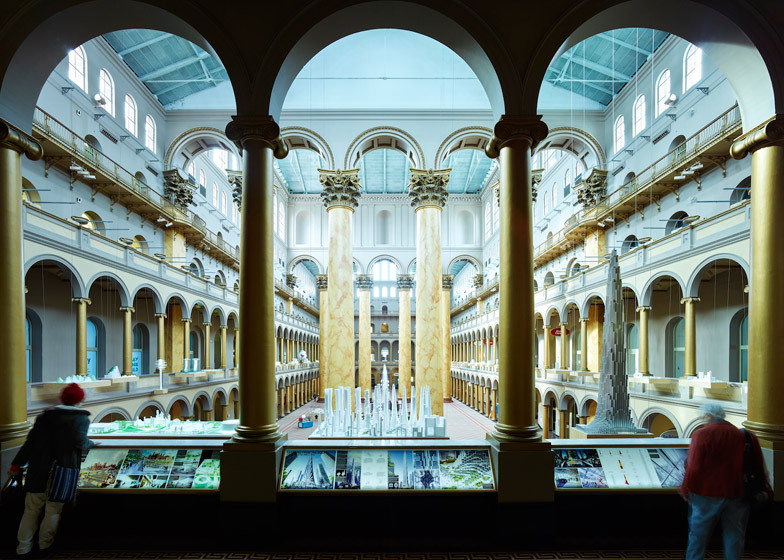 These models are accompanied by new photographs taken by Iwan Baan, plus movies that show some of the completed buildings in use. 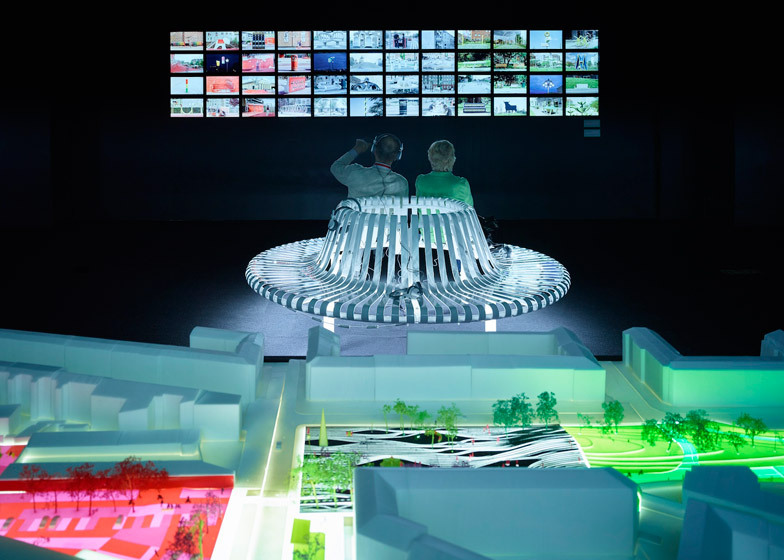 For instance, one shows the day-to-day activities of residents at the 8 House residential project in Copenhagen. 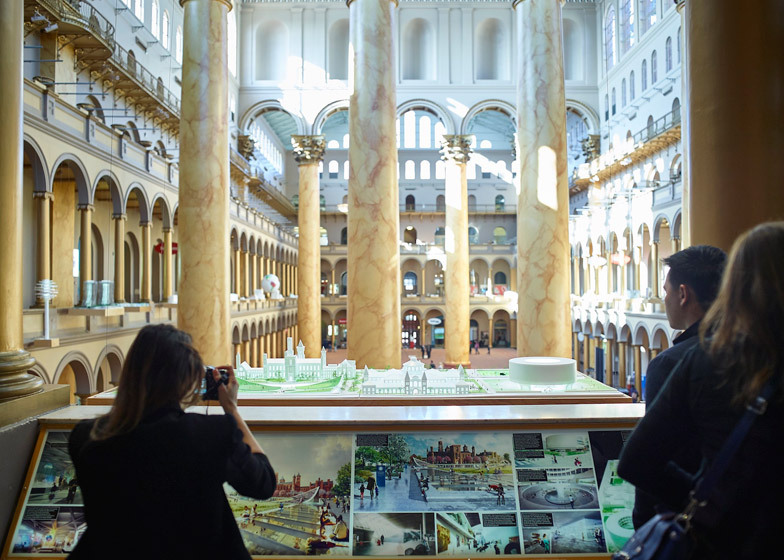 "I can't imagine a greater venue than the National Building Museum for this journey, looking back at our work and massive transformation over the last six years from both sides of the Atlantic," said Ingels. 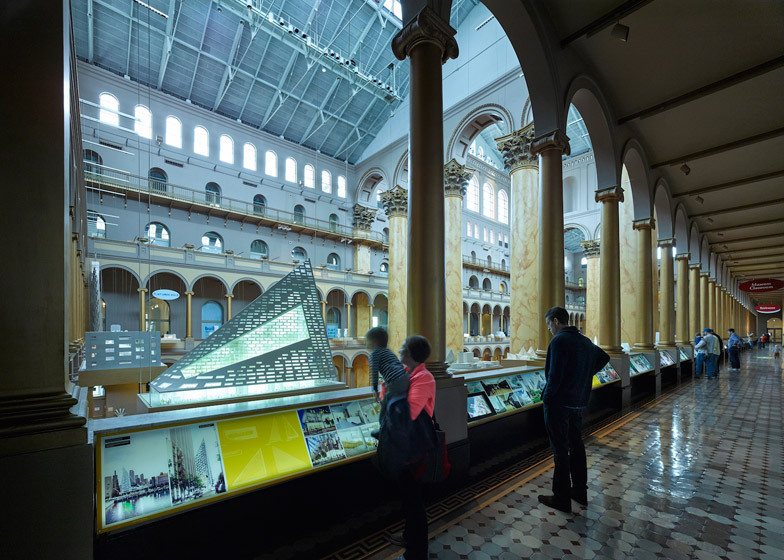 The exhibition runs from 24 January to 30 August and was curated by architect and professor Susan Piedmont-Palladino. 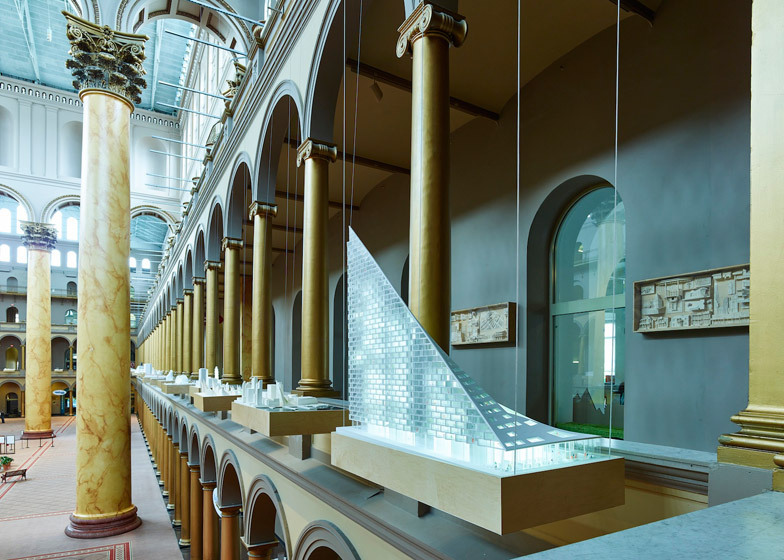 "What's so special about Hot to Cold is that BIG has perceived the National Building Museum more as a site for a project, rather than as a venue for an exhibition," she said. 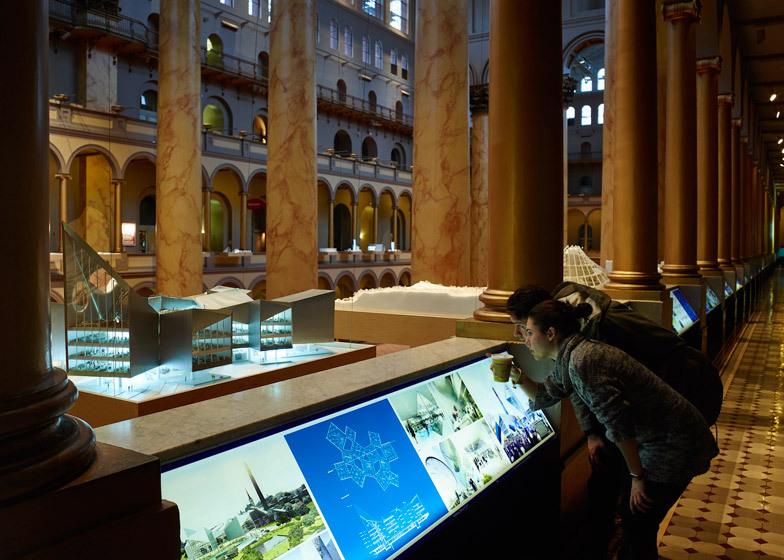 "That means that the sunlight, the sounds, and the sights of the Great Hall will all be part of the context of the display, just as they are for a building in the city. 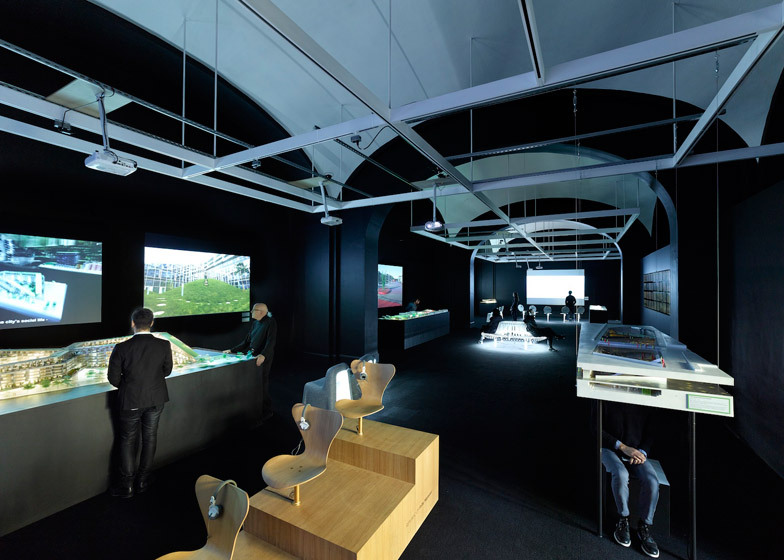 BIG has a very distinctive voice, and our visitors will have a very direct experience, as if the architect is talking, telling stories directly to them."